Peel, core & chop the apples into small cubes and place in a large bowl. You will need to be able to roll the dough without it poking through. The 2 apples should yield 1.5 - 2 cups. Add cinnamon, white sugar and flour. 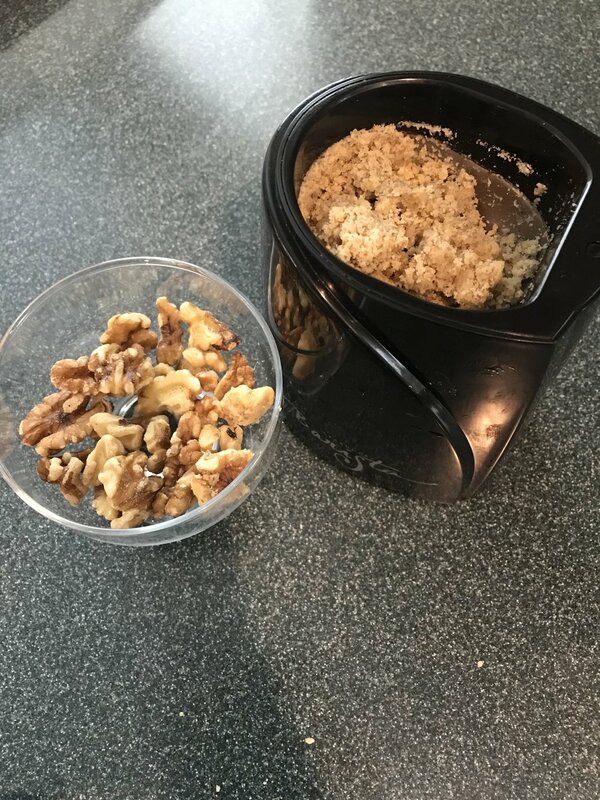 In a small bowl , mix the chopped walnuts , white & brown sugar and panko bread crumbs. Roll out your thawed pastry sheets into about a 11 x 12” rectangle onto a sheet of parchment paper. 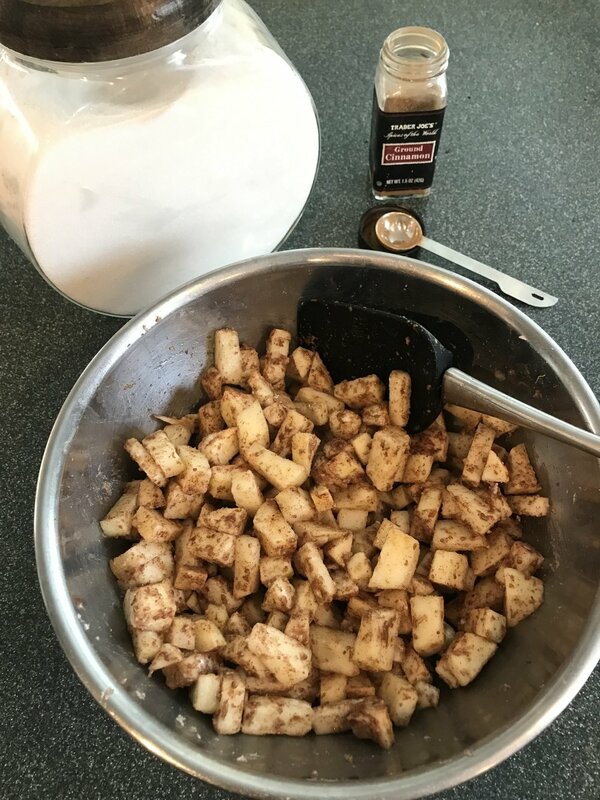 take 1/2 of the walnut mixture and cover 1/3 of the dough and place 1/2 of the apple mixture on top. 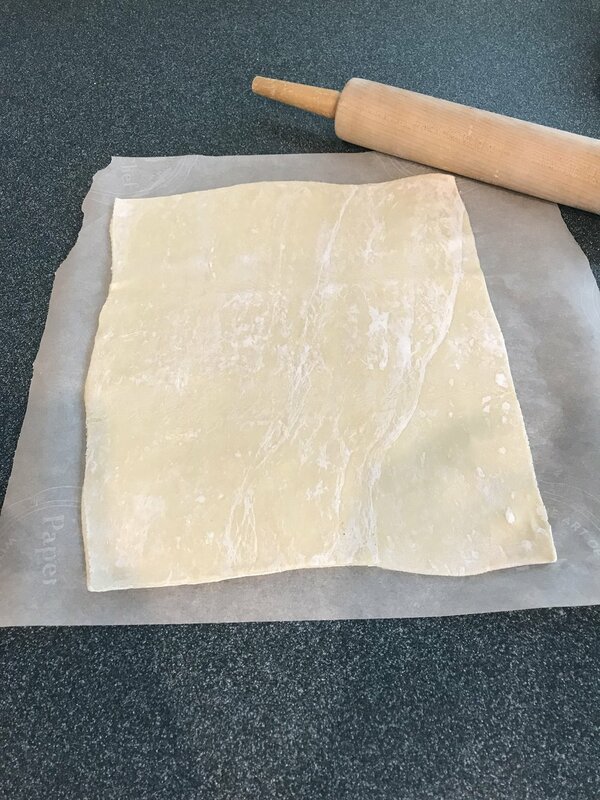 Using the wax paper sheet for help - roll the dough (ending with the seam side underneath), use a fork to seal the ends and tuck the ends underneath. Repeat steps 5-7 with the remaining ingredients. brush the top with an egg wash and make about 10 slits on the top.